The end to daylight savings is upon us, and that means a much-needed extra hour of rest is in store for many across the country. But, with that extra hour comes the reality of an earlier sunset, and for many the final sign that summer is truly behind us. As we all get ready for the shorter days and colder temperatures that come with fall and winter, this is the perfect time to do something great for your wallet and the planet. 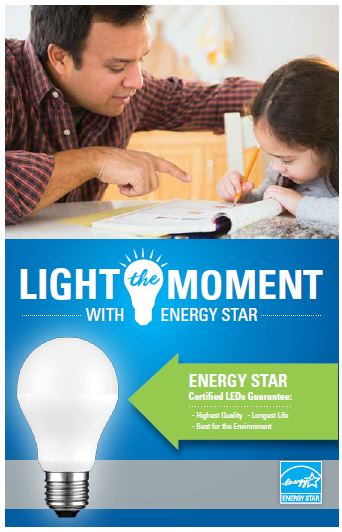 EPA is kicking off a year-long effort to educate people about the benefits of energy-efficient, ENERGY STAR certified LED lighting, and we want you to “Light the Moment” with us! The ask is simple: Switch out your old, inefficient bulbs for LED bulbs that have earned the ENERGY STAR, and illuminate all the special moments in your life – from bedtime stories to family celebrations to romantic evenings – with lighting that is certified to save you money, perform as promised, and help reduce your carbon footprint. Our goal is to encourage consumers across the U.S. to switch out 300 million inefficient bulbs to ENERGY STAR certified LED bulbs. A change-out of this magnitude will save Americans about $1.5 billion dollars in annual energy bills and prevent 17 billion pounds of annual greenhouse gas emissions. 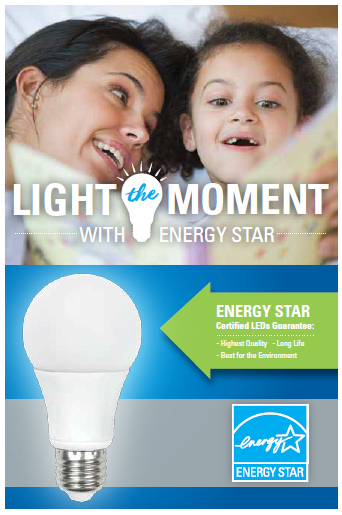 EPA is also pleased to announce that Walmart has joined as a flagship partner in the Light the Moment with ENERGY STAR campaign. Making a significant commitment to selling ENERGY STAR certified LED bulbs in all of its stores, Walmart is working to make high quality, affordable LED bulbs available to everyone. 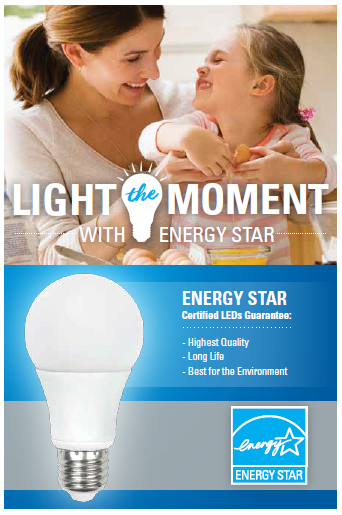 High-quality ENERGY STAR certified LED bulbs have never been more affordable. Around the country, you can find certified LED bulbs at $4 per bulb—or even lower! ENERGY STAR certified LED bulbs use up to 90% less energy than traditional bulbs and last at least 15 times longer. A single bulb can save $55 in electricity costs over its lifetime and last over 12 years with typical use. ENERGY STAR certified LED bulbs are available in a variety of shapes and sizes for any application—including recessed cans, track lighting, table lamps, and more. You can even find certified bulbs that are dimmable. Only products that have earned the ENERGY STAR are independently certified and undergo extensive testing to save energy and perform as expected. 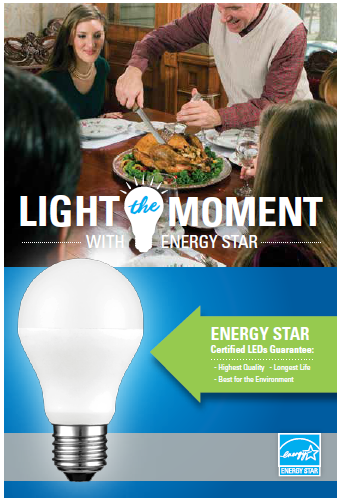 Enjoy the extra hour of sleep and don’t forget to Light the Moment with ENERGY STAR, starting this Sunday night! !